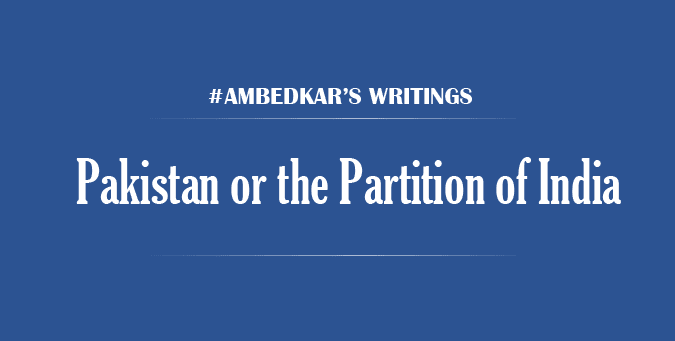 Secularism in India is different: Dr. Ambedkar's view on Islam in his book "Pakistan or the Partition of India"
Dr. Ambedkar's view on Islam in his book "Pakistan or the Partition of India"
Ambedkar, in the same book, has severely criticized Gandhi for his duplicity and double standards he adopted on Hindu killings v/s muslim killings. He writes, “But Mr. Gandhi has never protested against such murders. Not only have the Musalmans not condemned these outrages but even Mr. Gandhi has never called upon the leading Muslims to condemn them. He has kept silent over them. Such an attitude can be explained only on the ground that Mr. Gandhi was anxious to preserve Hindu-Moslem unity and did not mind the murders of a few Hindus, if it could be achieved by sacrificing their lives. This attitude to excuse the Muslims any wrong, lest it should injure the cause of unity, is well illustrated by what Mr. Gandhi had to say in the matter of the Mopla riots. The blood-curdling atrocities committed by the Moplas in Malabar against the Hindus were indescribable. All over Southern India, a wave of horrified feeling had spread among the Hindus of every shade of opinion, which was intensified when certain Khilafat leaders were so misguided as to pass resolutions of " congratulations to the Moplas on the brave fight they were conducting for the sake of religion". Any person could have said that this was too heavy a price for Hindu-Moslem unity. But Mr. Gandhi was so much obsessed by the necessity of establishing Hindu-Moslem unity that he was prepared to make light of the doings of the Moplas and the Khilafats who were congratulating them. He spoke of the Moplas as the "brave God-fearing Moplas who were fighting for what they consider as religion and in a manner which they consider as religious ". 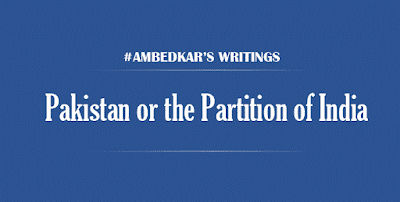 Note: The complete book, “Pakistan or the Partition of India” is available in pdf form.